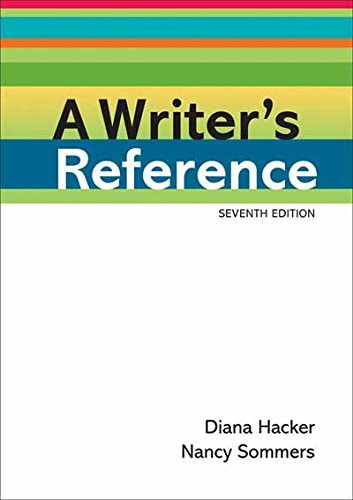 A Writer's Reference, the most widely adopted handbook in the United States, continues to be groundbreaking in its simplicity, offering the right content in an accessible format. New coauthor Nancy Sommers's own research, campus travel, and classroom experience keep the handbook in tune with the needs of academic writers. In a trusted quick-reference format, the seventh edition delivers advice on all the right topics: working with sources, revising with comments, preparing a portfolio, and more. A Writer's Reference offers unprecedented flexibility with several versions to choose from €” a handbook that's truly at your service.